Garage sale deals without having to dig through a bunch of scarves. Why are there SO MANY scarves and why are they all damp? Originally developed for the Swedish Department of Defense, our legendary Swedish FireSteel® is the original fire starter. Being the best, however, means always having to push the envelope. The result was a newer generation with an improved striker that makes it even easier to build a fire in any weather, at any altitude. 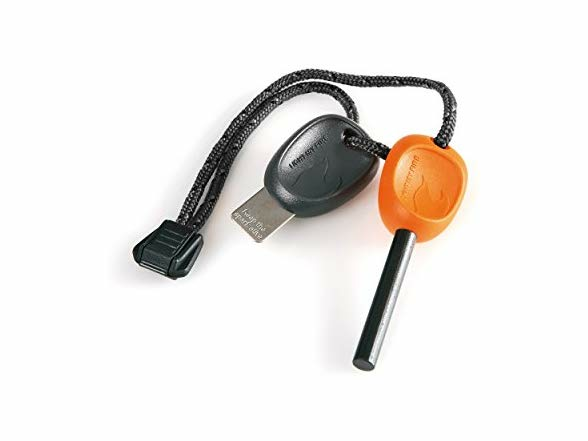 Our second generation Swedish FireSteel 2.0® also features a new design, a lanyard, and a built-in emergency whistle. The Swedish FireSteel's dependability and intense, close to 2,980°C (5,400°F) sparks, have long made it a favorite of survival experts, hunters, fishermen, and campers. It has also found its way into cabins and backyards as a foolproof way to light stoves and gas barbecues.